Crittenton’s Mental Health Services has a highly qualified and dedicated team of mental health professionals that are assigned to coach and provide assistance to the children, youth and families we serve. our clients are given the opportunity to begin their journey with us in a way that trauma can be treated holistically. This client centered approach is at the core of our treatment philosophy. And it’s fundamental to our mission that we continue to deliver quality outpatient mental health services while our clients are working through family turmoil, substance use, mental health, or a behavioral health issue. Crittenton Services for Children and Families knows that you can never erase the trauma of someone’s past, but with the right blend of interventions and therapy you can dramatically change how that trauma affects their future. Whether we are working with an individual, an entire family, or students in a school-based setting we will ensure that all services provided are delivered in a professional and compassionate manner. We thank you for your partnership and are looking forward to help build resiliency in a way that fosters health and well-being. Therapy sessions delivered in the community, Crittenton office, or school linked environment (for our educational partners). *Intensive Field Capable Clinical Services (IFCCS) for clients in need of more interaction with mental health staff and psychiatric services. These services are assigned on a referral basis from our county government partners. For questions about Crittenton’s Mental Health Services please connect with us during regular business hours Monday – Friday from 9:00 a.m. to 5:00 p.m. PST. *Please note that we primarily work with various governmental agencies, the courts and local school districts in the Los Angeles County area. However, we are open to working with other school-based professionals in our local region in order to help fulfill Educational Related Mental Health Services (ERMHS) needs of eligible special education students and their families. *We accept Medi-Cal but restrictions apply. *Spanish language services are available. 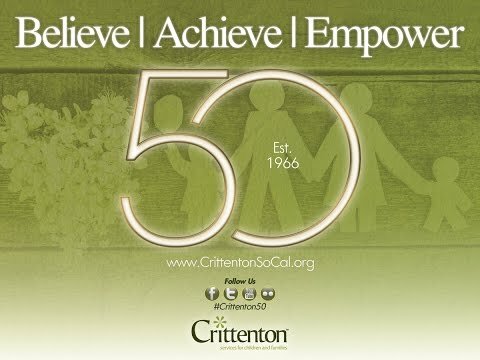 Crittenton is one of the best agencies that I’ve worked with! The therapists assigned to our school are all wonderful! I’ve referred many students and have never had any complaints from students or parents.